For some people, very minor tooth movements can be done with retainers. Here are the two most common types of retainers used to move teeth. A spring aligner is a modified Hawley type of retainer and has spring action built in to move the teeth. A custom impression of your mouth is required so the lab can make a retainer that precisely fits your teeth. 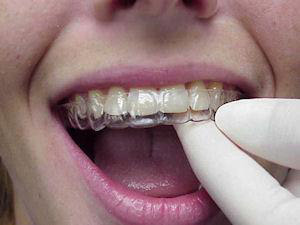 Since retainers don't “grip” the teeth like brackets do, they can only move teeth in certain ways. Dr. Taylor will be able to let you know if you are a candidate for retainer-only treatment. Some movements can be done with an Essix or vacuform retainer, which looks like an Invisalign® aligner. A mold of your teeth is taken and the teeth are reset or moved into a straight position on the model. The plastic aligner is then made from the model with your teeth in a straight position and the aligner moves your teeth to match that position. 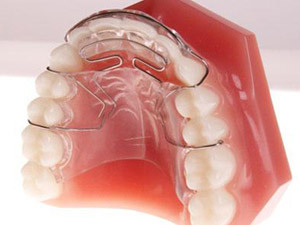 In some cases, a series of Essix retainers will be required to achieve the desired result.